I mentioned a few weeks ago that I’m occasionally going to be sharing FRIDAY FAVORITES & FRIEND FEATURES that will be filled with fun giveaways and goodies that you’re gonna love! We are a nation that loves Christmas and dreads it all at the same time. For years, I looked forward to having our whole family under one roof, conveniently blanking out on the weeks of prep work that it would take to translate my Hallmark Channel Christmas image from my head to my home. I want to fully savor Christmas — not just put on a show for everyone else. Here are a four tips I’ve learned to keep from getting overwhelmed, and truly immerse myself in everything this season has to offer. One of the things that messes with my brain each and every holiday is not just my own expectations, but what I assume other people are expecting of me. Thoughts like, “If I don’t make the broccoli casserole, it just won’t be Christmas for my kids” invade my mind, when truly, my kids would never even notice if broccoli casserole weren’t on the menu. We do so much in the name of being a “good______” (fill in the blank: daughter, mom, wife, sister, friend), that we can become angry and resentful. One thing our family did a few years ago that has helped greatly in managing our expectations was to simply ask each other, “What is important to you at Christmas?” For my husband, it was attending the Christmas Eve service at church together. For my step-daughter, Amanda, it was having stockings. For my daughter, Kimber, it was having a chocolate orange. Everyone has their “thing.” But when you’re dealing with just one or two things per person, you can eliminate a lot of “traditions” that have become mere habits. Figure out everything that needs to be done for the holiday, and break down your list over the next few weeks (so as to not to become the Grinch the week before). What can you do early to make the week before Christmas less hectic? Can you shop online for some gifts, plan your menu, make cookie dough, stock up on Scotch tape, or just give in and order the fully cooked turkey to be picked up on the 23rd? There is no such thing as cheating when it comes to Christmas planning. #3 ASK FOR HELP (and then actually let people help). Everyone who is old enough to dress themselves is old enough to help out with the Christmas celebration. Young kids can stock the bathroom with toilet paper, put out clean towels, make place cards and set the table. Older kids can take people’s jackets, sweep the kitchen and bathroom, walk the dog (while you’re cooking), be your sous chef, wrap gifts, and be the holiday DJ. Other adults can bring dishes so that it’s not all up to you to make the holiday meal happen. Guests feel better when they’ve been allowed to help make everyone’s Christmas better (especially the host’s). Lisa Shinault and Helen Wolfe! Want to have the most peaceful Christmas prep of your adult life? 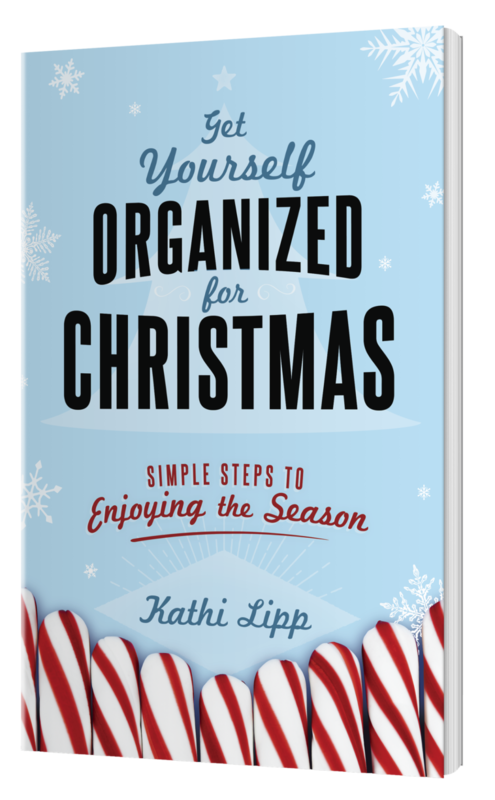 Order Kathi’s book, Get Yourself Organized for Christmas; Simple Steps for Enjoying the Season, available this month for $0.99 as an ebook on Kindle and other places ebooks are sold. Thank you for this opportunity! Sounds like it will help me! Great reminder to evaluate expectations & allow others to help, release some control & delegate tasks. Wow, what a great tool to help me prepare for a holiday that should be a relaxed family time! It looks like a great book. I need to be organized. Im unorganized and a procrastinator…this would truly jump staert my holiday….since losing my parents christmas just hasnt been the same…. I so need this book. Thanks for the opportunity to win it. It’s about thanking, not over-thinking. That’s what I get out of that short excerpt. Thank you?! Thank you! Great advice to help us focus on what is important at Christmas! Love, love to have this book. God bless. I love the part where she reads the Christmas Story the beginning of the week to keep her perspertive and piorities in order (sorry may spell check MY HUBBY is sleeping). I don’t want to stress-out during this most precious holiday. Your book sounds like it blesses many of us! Wow i love Christmas holiday as it reminds me of all the great things we used to do as a family. We always had a great family get together with my grandparents. Loved the tips. Thanks for doing life with us i never miss a devotion. Hi, my name is Diane Carrillo, my husband name is Marcelo Carrillo. We both need to order in our life. Naturally, and Spiritually, We thank God for you GG’s girl. May God bless you guys, Plus your new friend for writing book. Order before Christmas. I liked what Kathi said about reading the Christmas story every Monday. I am going to do this to help me focus and align my heart to Jesus. Looks like a great book !! Christmas is a reminder for all of us to remember what matters. Thank you for the tips, praying I can be organized. Thank you also for last weekend at Sandy Cove. Merry Christmas! Yay Christmas is my favorite holiday. Its all about the King. Love the idea of reading the Christmas story every Monday! Also going to ask the question of what is important to you at Christmas? Awesome. Looks like a great read! GREAT tips! Thanks for sharing Kathi with us, Gwen. Here’s something a friend shared with me a few years ago … and it helps tremendously! When I put away the Halloween decorations, I pull out the bag/box of Christmas wrap, ribbons and tags … and I sort through to see what I have left over and what is needed. Then, I head to the dollar store and stock up while supplies are fresh and choices are plenty. EVERYONE needs help and guidance at this time of year – and the message that is shared here is so timely and helpful — well worth the read. I have always loved Christmas. It is so much harder when you live alone and have no family near. I try to stay upbeat and filled with joy. I want to remember why I’m doing each thing I do for Christmas and then say to myself…Does it give glory to God and celebrate the birth of Christ……Does it truly bring a smile to the recipients face? These should be #1 #2 and #3 in no particular order. I hope to strive for this. 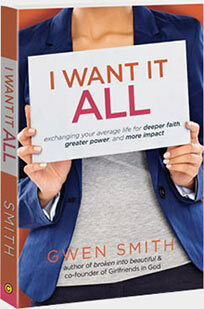 This book is sure to be as good as Kathi’s collaborative book THE CURE FOR THE PERFECT LIFE. It’s on my finish list…I have a terrible habit of having 2 or 3 started. But my friend borrowed it…finished with footnotes and shared it with friends….so it is loved and highly recommended. Can’t wait to check out Kathi’s new book! Thank you Kathi and Gwen. Having recently moved and still feeling overwhelmed (my husband and I downsized a lot! ), i still do not feel organized. Cbhristmas has always been and will continue to be a very special time of year (it is after all the best time of year when focus is on Jesus Christ – whether or not the world thinks it!). I know I will need to downsize the number of decorations, and especially gift buying for the children and grandchildren this year since we are also now semi-retired. Your book seems like exactly what I need to read and put into action! THIS is the year my family and I will remember to put Christ FIRST in Christmas, and this book will help me align with God’s plan for us to do so! 😉 Thanks for the preview of such a helpful book! The Christmas and Thanksgiving season has been a difficult time for me for many years. Never mind why…let’s just say unpleasant things tend to happen around Christmas time. I would love to have Kathie’s book to help ease the dread and help soothe the lump in my throat this year, as Thanksgiving approaches. Thank you both for sharing your insights and knowledge in a very readable way! 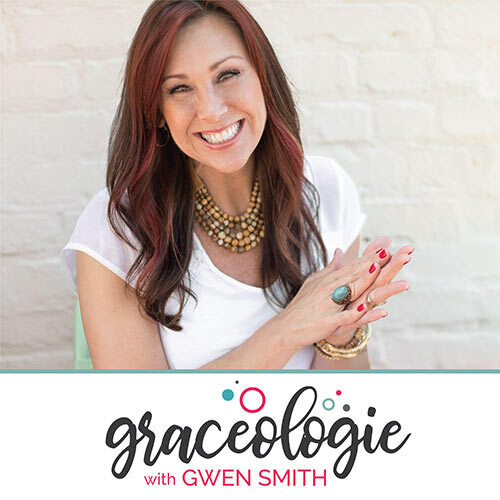 I am grateful for Kathy’s #4 tip: Take time to re-align. I love the focus of reading the Christmas story each week for the 6 weeks leading up to Christmas. It is important to focus on spiritual things and not get fixated on the earthly things around us. The Holy Spirit reminded me of several Scriotures that speak of this truth. Matthew 6:33 “But seek first the kingdom of God and His righteousness, and all these things will be added to you.” Seek God first in this Christmas season. Colossians 3:2 “Set your minds on things that are above, not on things that are on earth.” Set your mind on God this Christmas season. Hebrews 12:1-2 “Therefore, since we are surrounded by so great a cloud of witnesses, let us also lay aside every weight, and sin which clings so closely, and let us run with endurance the race that is set before us, looking to Jesus, the founder and perfecter of our faith, who for the joy that was set before Him endured the cross, despising the shame, and is seated at the right hand of the throne of God.” Look to Jesus this Christmas season. Holidays are always so hard for me…and I’d imagine for other people with some unfond memories of what is supposed to be a joyous season. Gearing up for the holidays has been especially hard for me this year (for some, unknown reason) and I’d love to have Kathie’s book to keep things in perspective and ease the dread. Thank you for all of your help…Both yours and Kathie’s. Thank your for the tips, new book sounds wonderful! Cant wait to read it! Wow! What great timing. We not only have Christmas and all the stress that can be created by preparing for it but we also have two birthdays on December 23rd. I would love, love, love to have this book and some insight. We don’t have children at home any more so most of it falls on me and my husband to prepare for family gatherings. Thank you so much Gwen, you rock! You have rocked my world! I’d prob buy anything you recommend. But I’d love to have it for free too !!
? Love this! Thanks for sharing Kathi Lipp’s book except! Great, simple ideas I needed to be reminded of. I plan to implement these for Thanksgiving! ? So grateful for the gift of Jesus, truly accepting His love, grace and forgiveness has changed my life!!! Thanks for speaking God’s truth to my heart! Love you! Love to have help especially this year! We just moved in our new house & it’s busy already so I need help. As a care taker of mom in law hubby and I moved a 4 bedroom into a already crowded 3 bedroom we have given away Soo much but know we can do better Can use all the help we can get ? 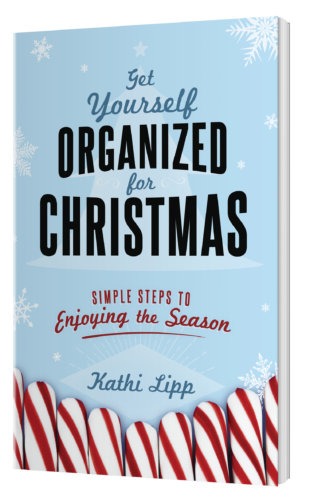 Getting organized for Christmas (and all of the holidays), is the best gift that you can give yourself and your family. 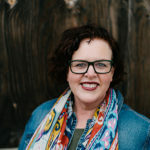 I would love any help and insight that Kathi can offer to make this an easier time of year on me. Our family is dwindling down and all planning/cooking/wrapping/cleaning is pretty much left up to me. I get all excited this time of year and extremely stressed by 12/15! This year is even more stressful as I have learned that I will be losing my job of 16 1/2 years as of 12/31. But.. God’s in control! Any extra help to make life easier during the CHRISTmas season would be beneficial to me!! My family always baked a Birthday cake for Jesus on Christmas Eve, and then we sang “Happy Birthday to Jesus”. I want to make this Christmas different…I want to help people realize that the MOST Important thing about Christmas is Christ. I want to do so many things but I am fighting with so many thoughts and ideas on my head, that I cannot seem to be able to organize myself. I need this book…I need help! Blessings on Christmas and on the coming year 2017. Wow! No more “stay up all night Christmas Eve” events! I love the idea of letting people help in the different ways. I am one who always tries to do EVERYTHING myself but this year I am going to ASK FOR HELP!! I loved the idea of asking each person, What is your favorite part of Christmas. That really helps as we each have our own “Love Language”. Thank you for the advice. I start off with a list and seem pretty organized. That all fails everytime, and I find myself anxious, exhausted, and wishing for January 1st. Each year I vow to stick to my list and pray each day for guidance. Looking forward to reading the book. Sounds great! Can’t wait to read the book. Super tips! Sounds like a great book! I loved the suggestion of asking family member “what is important to you about Christmas”. I think after Thanksgiving dinner and we are playing family games that I will ask each one. It will be fun and rewarding to hear what each says. I also liked the part about reading the Christmas Story every Monday morning leading up to Christmas. Sometimes we get caught up in everything that needs to be done leading up to Christmas, that we forget to stop and meditate on what the real reason for Christmas is about. This sounds like an awesome book! Thank you for sharing. Man, do I ever need this. I absolutely love, love, love Christmas but it is so easy to get caught up in what “we have to do” rather than just enjoy the celebration of the birth of Jesus. I may not be Christian but the holiday season still gets crazy. Wonderful advice to include all. Have a great holiday season! Love this! Great advice. I especially like the first one about asking the family what each ones favorite thing is about Christmas! Then you know you have done something that they hold precious to there hearts. I already know my daughters -putting the lights up early outside even though a neighbor doesn’t like it! But that makes my daughter happy to see our home with Christmas lights to make it exciting! I could really use that! Shalom! Shalom! Jesus Is My Home! Grateful for how God uses you to encourage me. Sounds like a great idea to take the frantic frenzy out of Christmas! Wonderful advice. Thank you for sharing, and thank you for introducing us to Kathi. I’m hoping she may have more books on how to organize a life!! This is the perfect book for this season of my life. I have been struggling for years attempting to strengthen my organization skills in my home. Now having a 20 month old little boy it is a necessity for my sanity! I’m looking forward to the drawing already! Much love to all you sisters out there and may this holiday be filled with grace, love, family and fun! God gives us just what we need when we need it. God bless you Gwen for this information. I am looking for a copy of the Christmas Story for our house. We have a family copy that we read as a family on Christmas Eve, but every week, sounds good to me. Thank you for sharing this treasure with us. I like your idea of reading the Christmas story each Monday…I’m going to try that this year! May I never forget the matchless gift~the son of God you sent to save us. Empower us to share the good news in all we do this Christmas and always. So looking forward to reading this book. God bless you for your ministry. she sounds great! it would be a great book for me to read. I would love to know how to be stress free for Christmas! Great advice! I could use some organization! This is perfect timing with the holiday around the corner. I am so glad to know I am not the only one who stresses when this is a time of reflect on the best gift given. These are wonderful tips to get organized and to help get through the season. Merry Christmas!!! Good morning, Christmas is my favorite time of year with the lights, tree, birth of Jesus , family and friends. I just absolutely love it. I’m still like a two year.and don’t let me forget the classic Christmas movies with a big bowl of popcorn, you’re family next to a warm fire, lights and a blanket. Ahh. But as we all know it also can become overwhelming all together making hard sometimes to have joy within the smaller of things. I would be absolutely great full for the book to help me and others through. Thank you so much for the chance to win. Organization at Christmas? Yes, please! I love Christmas, but usually don’t get all the fun things done so I have regrets. There are always so many great activities to that I get behind on my regular tasks and feel stressed by that. Christmas is my favorite season as I am reminded of God’s ultimate gift and His love for me. 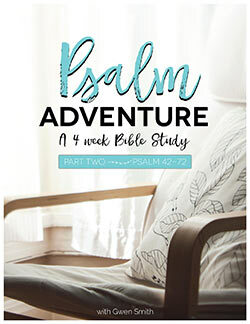 I would love to have this book to help me focus on making the most of this time?? I love the idea of intentionally rereading the Christmas story! Sounds like a great book! Would love to read the rest of it. Thanks for the tips! They’re sure to come in handy! Some simple ideas that really make sense if I can actually use them. Looks like a great book !